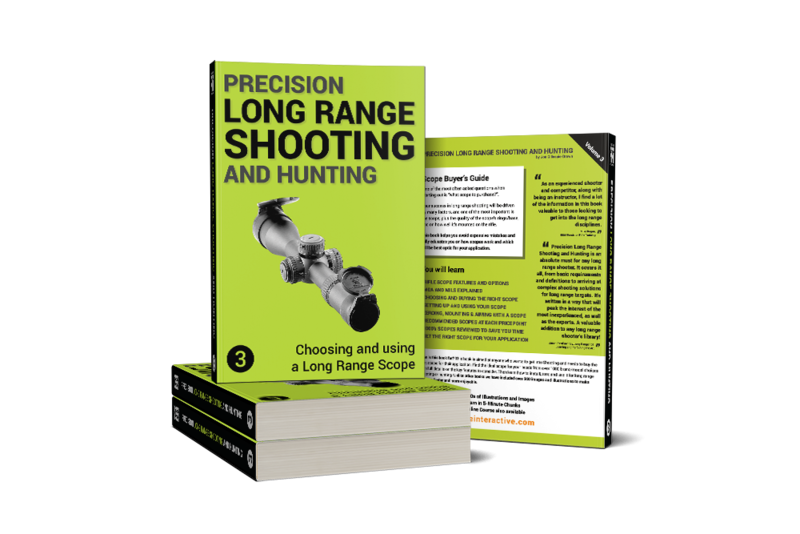 We built this price guide in the same way you might research before you buy: by going to several large scope retailer websites and choosing various criteria to narrow down the range of choices from thousands to a manageable number. At the time of writing of this book, 3,644 models of Riflescopes are currently for sale, but we can remove 90% right away, leaving about 360 good candidates. We then filtered based on quality brands, great glass, magnification, long range features and the best tracking to create our shortlist. We chose criteria based on rifle use, and long range shooting: scopes that have the features and capabilities to shoot at 1,000 yards or more. We have included a broad range of price points and quality to offer choices for everyone. This process was very time consuming and often very confusing as there is a lot of information to absorb. Often the retailers' information is dated or doesn’t match the manufacturer. We have simplified that for you by collating the information. Note: Searching the major sources online and sorting by popularity will help you get an idea about what others are buying. The next step was to break up the shortlisted scopes into useful groups based on your mission and scope use and then by price range. In the case of the shortlisted scopes, we had a panel of judges test and try these scopes in store and at the range where possible, and their feedback helped drive our recommendations. Where we didn’t have first-hand products to test or use we searched forums, review websites, magazines and other data sources to come up with a view on the scope in question, much the same as you would do. Note: We have included the approximate street prices we found online, these will change and only be useful as a rough guide as to budgets and models. With a scope, more is usually better, and remember to always add 10% to your budget because you want to know you have money left over for accessories, rings, and other needs. Finding a realistic budget is difficult but spending half a scope and the other half on a rifle is the norm, while spending more on the scope than the rifle may be useful to your specific mission. Attaching a $200 scope to a $3,000 rifle is a poor way to take advantage of the capabilities of the rifle, but attaching a $3,000 scope to a $200 dollar rifle can be beneficial. Plan your budget accordingly. The following guides should allow you to quickly pick a use case and a start point for further investigation. These are as close as you can get to real-world tests. We were not sent any information to use to review them, these reviews are raw data from the public domain without any external influences other than our panels views. Note: These choices and opinions are just that. Some things can be tested and checked in a scientific fashion, and others we had to make our own judgments, such as on tracking, glass quality and our own views on how to get from thousands of choices to a select few. We used forums, our own experience in owning and using these scopes, as well as peer reviews. You will need to follow your own path, and test and try a few different scopes preferably first hand, in order to make the right choice. What we suggest and what you choose may differ, which is okay. We are here to get you started, as with any large purchase you need to do your own due diligence. Finally, all information like this is perishable. The buying rules and guidelines, however, remain the same no matter when new scopes come on the market. Take a look at the following options and pick what most suits your needs. Thanks for taking a look at our scope reviews and tests. We hope our opinions and shortlists were helpful. As with any buying choice, do your own research and check out the products with your own hands as much as is possible. While we have given you a place to start, the industry is changing all the time with new models and specs, plus changes in brand lineups and availability. There are many more scopes than we have listed if your favorite is not on the list let us know, but don’t be offended as we had to cut down a list of thousands to something most users could use to get started! Thanks from the TMi team! Disclosure: We are a book and training course publisher, not an advertising company. We are independently owned and the opinions expressed here are our own. We were not paid to write any of the reviews, content or editorial nor where we influenced to include certain brands in our shortlist(s). 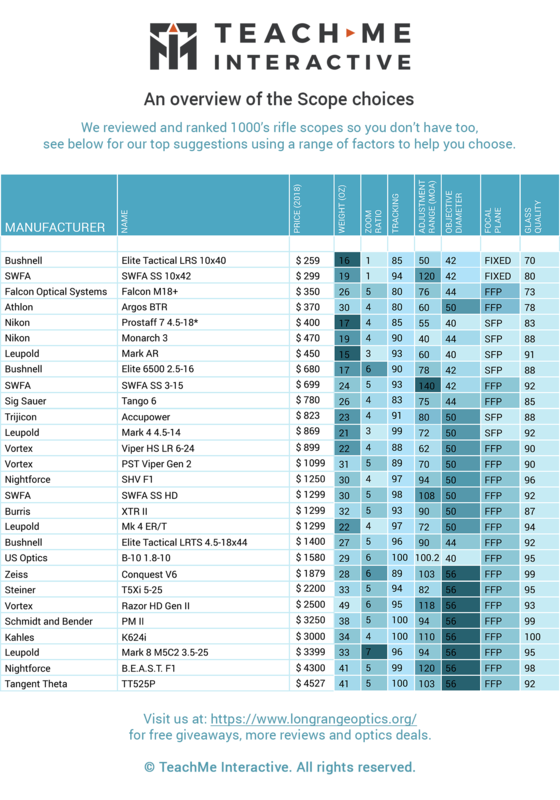 We got our data from our own scopes, scopes in stores, scopes at range meetups and scopes sent in for review and photography by some of the manufacturers. Manufacturers are able to place their details in the directory at the back of the book independent of editorial content, and those pages are paid placements. 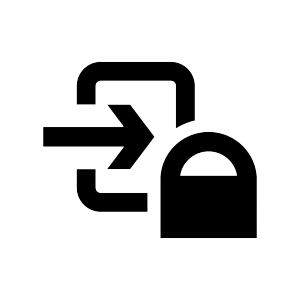 Anywhere that there is content from a third party that content is disclosed, including any images.